The best place to start is the 1.4-kilometre Istiklal Avenue, the busiest street in Turkey, lined with shops, bars, restaurants, arcades, and historical buildings. This adventure is more about soaking up the ambience and vibes than shopping, and the first thing to spot is the red tram, a nostalgic symbol of Istanbul’s history. Iconic landmarks with free entrance include Flower Pasaj, Saint Anthony of Padua Church, and Taksim Independence Monument. Window shop in quaint antique stores on the back streets, and take your camera, because Istiklal presents marvellous street photography opportunities. Going off the main drag into surrounding neighbourhoods, visitors will also discover fantastic graffiti murals which have sparked a street art movement. Spend an entire day exploring free landmarks of Taksim and Beyoglu, but if you have more time, there are plenty more things to do. Travel trends over the last decade urged us to go deeper than the popular touristic attractions, to where the locals live so we can understand what makes a destination tick. The world responded by exploring local neighbourhoods, and this was when the Balat and Fener districts graced the pages of international travel magazines. The Guardian newspaper said…. Sitting side by side, these two historical old quarters, steeped in Jewish, Armenian and Greek history are a perfect introduction into Istanbul’s neighbourhoods. Notable landmarks in Fener include the Greek Orthodox church, home to the Ecumenical Patriarchate of Constantinople, and the nearby red-brick college. Meanwhile, Balat is about getting to know the locals through small coffee shops, and affordable eateries. Often touted as the best place to shop, the Grand Bazaar and Egyptian market are also architectural wonders worth exploring. The 15th century Grand Bazaar covering over 30 hectares is a city under one roof. A maze of narrow passageways lined with shops and topped with a dome roof, evoke an exotic shopping experience but look beyond that to discover old hammams, beautiful drinking fountains, and essential bedestans where artisans did and still craft unique pieces of jewellery and art. Even though the 17th century Spice Bazaar in the Eminonu district is smaller, its stunning dome roof, and spice aromas add to the exotic experience. With a historical importunate beyond belief, Istanbul mosques are worth visiting, not only to see iconic buildings but also for a pleasant, easy-going introduction to Islam. The 17th century Sultanahmet mosque sitting across from the Hagia Sophia is open every day, except at prayer times. Known for its six minarets which at the time of construction caused considerable controversy, the exterior blends Islamic and Byzantine architecture, while the mass amounts of blue tiles in the interior earned its nickname as the Blue Mosque. Suleymaniye, the second largest mosque to see in Istanbul, is also free to enter. Built just over 460 years ago, as an imperial mosque for the royal dynasty, it belongs to the UNESCO World Heritage Site list and holds the tomb of Mimar Sinan, the Ottoman Empire's most celebrated architect. Visit in April, to see a marvellous kaleidoscope of colours, dotted around the city in public parks and gardens, which have no entrance fees. The annual tulip festival celebrates the importance of the flower during the 18th century Ottoman tulip period. During this time, elite circles of Ottoman society went crazy for the flower, planting it everywhere. Often appearing in artwork, textiles, architecture and ceramic pieces, the popularity caused prices to rise to unbelievable amounts and prompted the tulip crisis. These days, Istanbul plants millions around the city in April and seeing the delightful flower costs nothing. One of our favourite activities, where ever we go, is visiting local museums. There is no better way to learn about a topic or place than to see artefacts from the generations before us. Museums in Turkey take part in International Museum Day, held on the 18th of May. With a new theme every year, keep an eye out for announcements in local press because, on this day, museums are free to enter. Prominent museums that have opened their doors for free in the past were the Hagia Sophia, the Archaeology, Turkish Islamic and arts, and Pera museums, representing a massive saving on entrance fees. 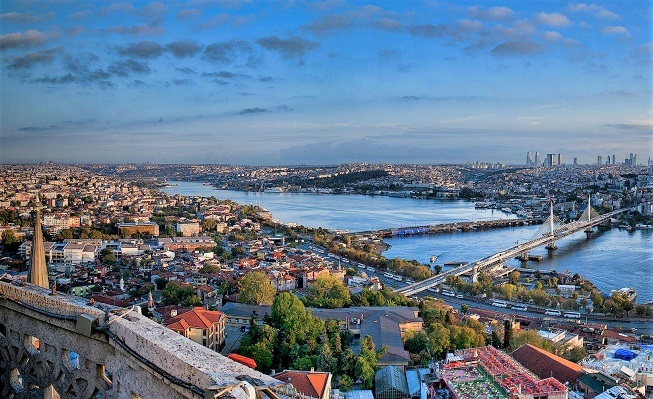 Further Reading: For a deeper insight into this beautiful city including more free activities in Istanbul, see our blog section. 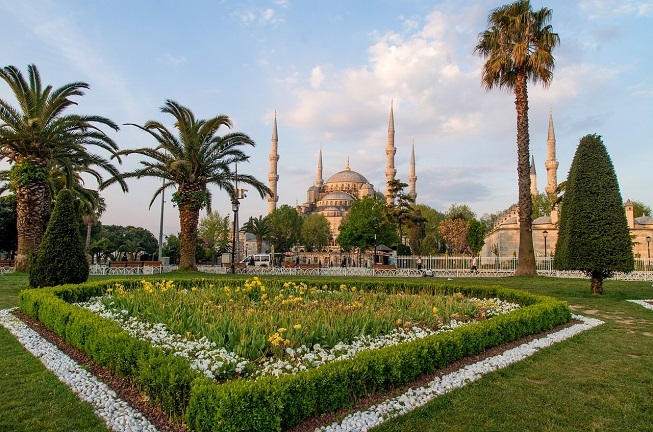 Suggesting ideas of things to do, tips for holidaymakers, and advice for people looking to settle down and live in Istanbul, they highlight the diversity and vibrancy of this iconic destination.